Los Angeles, located in Southern California, is the centre for the nation's film industry and is referred to as the ""entertainment capital of the world."" The number of startups and tech entrepreneurs is on a steady rise in Los Angeles. The pleasant weather and good quality of life, contribute towards making Los Angeles a preferred destination for business. Technology changes at a rapid rate in today's world; all professionals must change with it in order to survive. Zeolearn, is offering the React.js certification in Los Angeles to help tech professionals achieve their career goals. React.js has more benefits than the other traditional methods for development of applications. It is a cost-effective but highly efficient method; therefore, it helps realise greater returns on investments. The institute will provide coaching by way of comprehensive material, lectures and practice sessions. Candidates who enrol for this workshop will be guided by expert trainers at every step. Tutors will emphasise on the practical application of the concepts learnt. The React.js course in Los Angeles will make it easier for professionals to build user interface components. Those who register for the React.js online course in Los Angeles will work on a project at the end of the course. The React.js training in Los Angeles is being offered at a very affordable price. 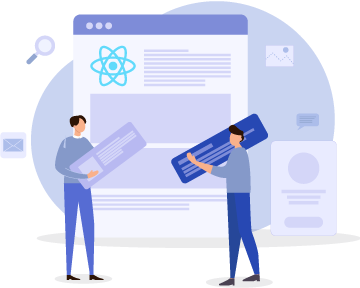 On successful completion of the React.js training in Los Angeles, a certificate will be provided; this certification is highly sought after in the IT field. This training will help professionals in distinguishing themselves from their colleagues. The course will enable the participants to build state-of-the-art applications. To ensure customer satisfaction, the academy will refund the fee to unsatisfied clients after the first demo session. The React.js online training in Los Angeles will be highly beneficial for web developers. Tech entrepreneurs and students who aspire to work in the IT field can also choose to take advantage of this course.